Teach English Cambodia. 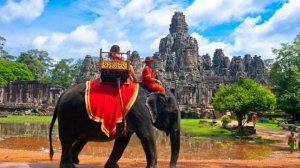 It is possible to teach English in Cambodia without a bachelor degree and the salaries are good. One of our contact schools in the city of Phnom Penh is a Christian International school in which you could teach English, Science, Math or all 3 subjects if you wanted to be a home room teacher. As it is a Christian school you would be required to sign a form confirming you are of the Christian faith, however you do not have to be a practicing Christian. A non degree holder can expect to earn a minimum of $1,000 per month and a degree holder up to $1,400 per month. 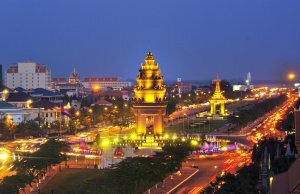 Phnom Penh the name can’t help but conjure up an image of the exotic. The glimmering spires of the Royal Palace, the fluttering saffron of the monks’ robes and the luscious location on the banks of the mighty Mekong – this is the Asia many daydream about from afar.